The Scotties is underway at Centre 200 and there has been some great curling so far. Jennifer Jones's Team Canada rink will be defending last year's title and is joined by a premier field of women's curlers. Janine Bodner's rink out the Iqaluit Curling Club represents Nunavut. Alberta has Chelsea Carey From the Glencoe Curling Club, Manitoba is represented by Tracey Fleury out of the East St. Paul Club and New Brunswick is represented by Andrea Crawford out of the St. Andrews Club. The list goes on with Kelli Sharpe from the Centre and St. John's Curling Club carrying the banner for Newfoundland, Kerry Galusha represents the North West Territories and curls in the Yellowknife Curling Club, PEI has Suzanne Brit from Charlottetown, Quebec has Gabrielle Lavoie curling out of the Victoria Jacques Cartier Etchemin CC, Robin Silvernagle will represent Saskatchewan and has her home club as the Two Rivers Curling Club and Nicole Baldwin represents Whitehorse and curls out of the Whitehorse Curling Club. Ontario is represented by the always tough Rachel Homan who missed the Scotties last year when she represented Canada at the Olympics. Homan curls out of the Ottawa Curling Club. Northern Ontario has Krista McCarville out of the Fort William Curling Club and BC's hopes are pinned on Sarah Wark from the Abbotsford Curling club. Nova Scotia is represented by Jill Brothers out of the Mayflower after she defeated Mary Anne Arseneau in the finals of the NS play downs, stealing two in the final end and winning the game by one point. Brother's is no stranger to the Scotties having represented Nova Scotia in the event three other times, 2007, 2014 and 2016. She is also a former Canadian Junior champ and World Junior silver medalist in 2004. Brothers is joined by teammates Erin Carmody, Sarah Murphy and Jenn Brine. All three have some level of Scotties experience with Carmody having been a Silver medalist in 2010 when she played representing PEI. Also interesting to note, Gabrielle Lavoie and her foursome are a junior age team, the second year in a row Quebec has been represented at the Scotties by Junior curlers. Two Wild Card teams will played off on Friday, february 15, to determine who would join the field as the 16th team. Kerri Einerson out of the Gimli Curling Club in Mantitoba took on Casey Scheidegger of the Lethbridge Curling Club in Alberta. Einerson lost to Scheidegge making her the 16th team to compete at the event. Scheidegger represented Alberta last year at the Scotties and had a great run until she fell on hard times in the championship round. This year, she didn't do much in the Alberta play downs but is still a strong team that is worthy of being at the event. The Wildcard game wasfree to attend. All volunteers are now trained and outfitted and are working hard to make the Scotties a great event. The Schooner Curling Club and the Sydney Club have partnered to do a 50/50 draw at all of the draws during the Scotties. Volunteers are in place to sell tickets and passes to get into the venue are being distributed for the shifts that they are going to work. A huge thank you to all volunteers. So far, sales have been strong for the 50/50, many draws exceeding $4000 in sales. The playoff weekend is expected to fuel high sales. Don't forget about the Heart Stop Lounge that will be at the Joan Harris Cruise Pavilion and will run every day. Free shuttles are available and will run between Center 200 and the Joan Harris Pavilion on a regular basis. There will be great entertainment all week long and includes such local favorites as Pretty Archie, Slowcoaster, Carmen Townsend, Arron Lewis and more. Entry to the Heart Stop Loungs is included with all Scotties tickets. 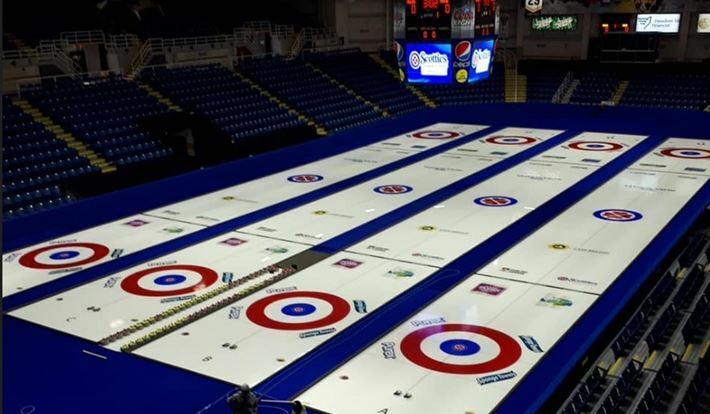 A schedule is available on the Scotties 2019 website. The Scotties Fan Zone will allow fans to get "Up Close and Personal" with curlers with autograph opportunities and a chance to ask the curlers questions. All Fan Zone events will be held at the Joan Harris Pavilion. Check the Scotties website for more information and and schedule of when you can see your favorite teams. Tickets are still available at the C200 box office.